Caesars Entertainment Las Vegas – FREE HOTEL ROOMS – DEAL of the YEAR!! 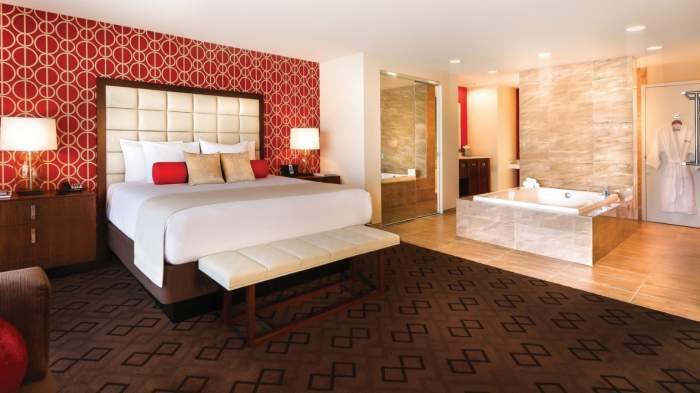 Get FREE HOTEL ROOMS with Caesars Entertainment Las Vegas properties! LIMITED TIME, DEAL OF THE YEAR! There’s absolutely no catch, just sign-up, login and book your free rooms! FREE Rooms Valid Now to January 5th, 2019. For select dates, including some weekends! Highly discounted dates as well! Available for brand new members and existing members alike! This is either a price error, or Las Vegas is desperate to fill their low occupancy rates. Either way, since these deals are refundable, always book now and think later! After you’ve Signed In and Verified through your email, click here to BOOK NOW. 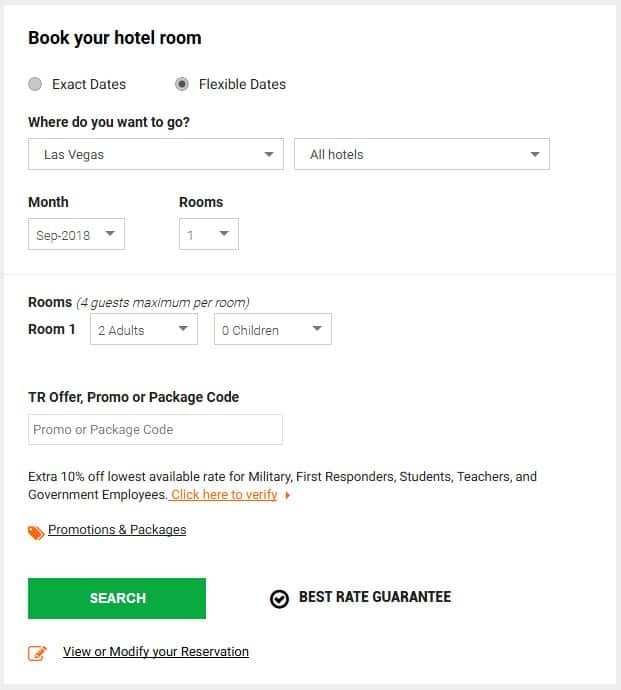 On the Hotel Reservation Page, select “Flexible Dates”, “Las Vegas” for location, and “All hotels”, then click “SEARCH”. 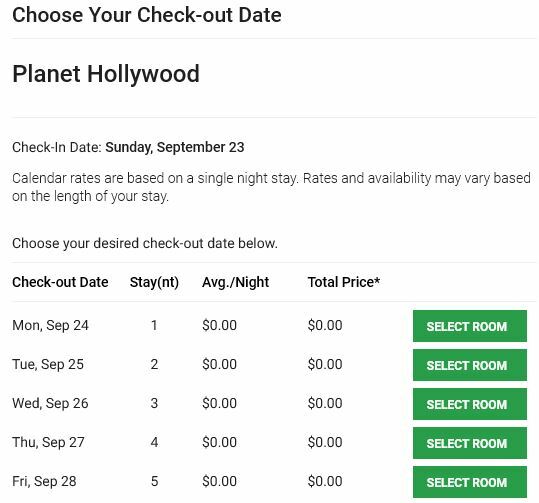 On mobile, it may ask you to select a hotel. 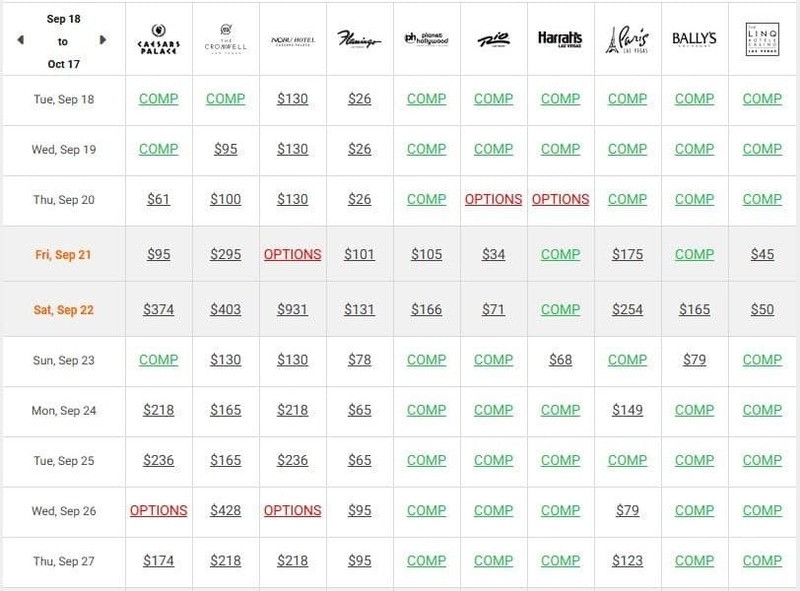 Bally’s and Planet Hollywood seem to have most comp dates available. 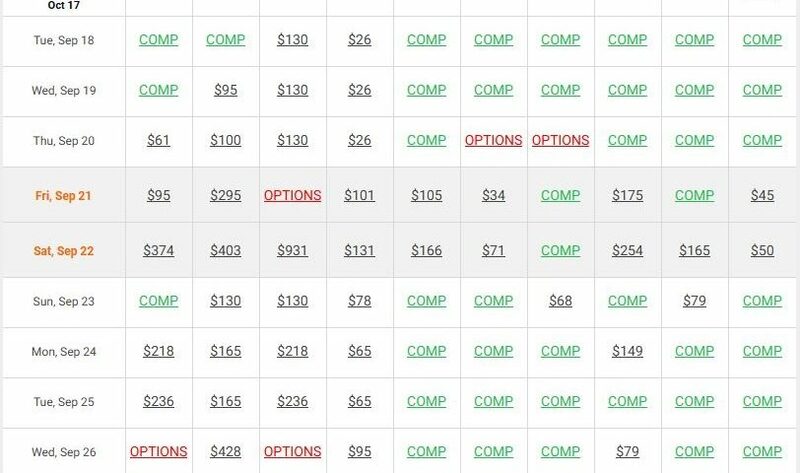 Find a date and hotel that says COMP and book what you need to! You’ll still have to pay Resort Fees and Taxes but that’s unavoidable. This is still the Deal of the Year! Enjoy! Remember, these deals are usually VERY LIMITED TIME! Since it’s 100% refundable as long as you refund 72 hours prior to arrival date, always BOOK NOW, THINK LATER! Have fun planning your next trip! !